Access to the data you want with the support you need. For your staff and your members. Our expert customer service team works diligently to take support issues off your hands. Our toll-free number and support e-mail address are prominently featured on all education portals and communication. We provide admin training for all applicable staff members and you will have a dedicated representative available. Fine tune the data you need. 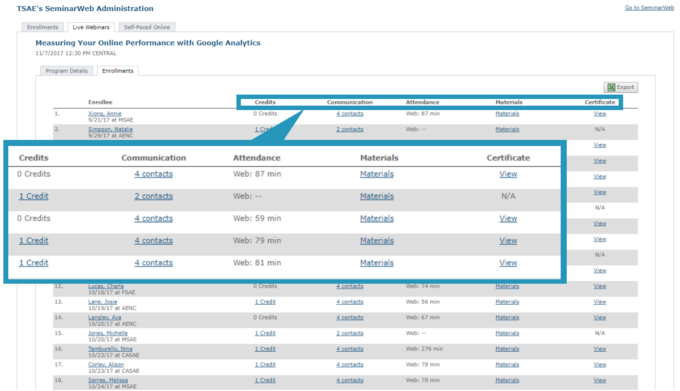 You have the ability to access real-time enrollment data (exportable in Excel), view incomplete registrations, and to resend connection instructions or certificates direct to members. Search by member name, date range, or program title for specific details. 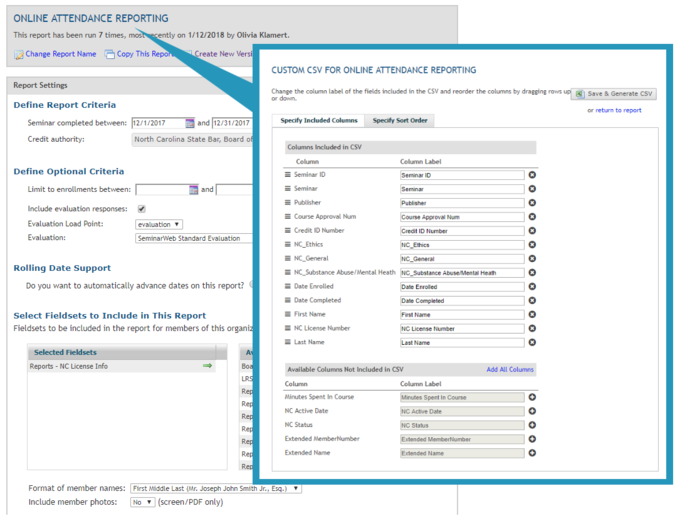 When you sign on, your account representative will help you choose the information you need to set up custom reports. These can be accessed by your staff or be delivered via email at predetermined intervals. Tokenization keeps your members’ data safe. SeminarWeb’s payment gateway is fully PCI-compliant and always offers your members a safe and secure method to pay for their CE programs. We do not store any credit card data on our servers. It’s really the safest and most robust solution to protect credit card data.